Welcome to BYC...kinda! Hope you have fun here and makes lots of new friends! Also..I have ducks too so if you have any Q's let me know! Thanks sorry you are to far away. I have been hunting for a new home for Mini for a couple of months. She is hanging in there and I plan to get her some sisters after the holidays. She is pretty lonely. I just saw this. Ugh that’s so sad. We’ve been going on walks with prim at night before bed. That seems to help her. Just feeling like she’s in a flock I guess. Walking all close together checking out the neighborhood. Hope mini does well through the holidays! 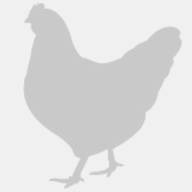 I am near Houston and have an adult hen that could use a home if you are any where near me. Hello! I’m in Virginia. Thank you for reaching out!